When you work as a freelance writer, it can be difficult to feel like you’re experiencing meaningful growth. Sure, maybe you snagged a gig at a prestigious magazine or you worked with a genuinely helpful editor, but freelancing can be lonely work. It can easily foster a feeling of stagnation, with your professional improvement at stake. How are you supposed to get better at your job without the day-to-day mentoring and camaraderie that comes with a more traditional kind of work? The key lies in self-motivation and focused effort, targeting the skills that you struggle with and the areas most highly in demand, rather than just writing draft after draft without specific goals to achieve. So, how do you escape the potential effect of the lonely freelance life and be a better writer? Here are four things to do. Or, put a lot of effort in what readers see first: the title. Often, based on this handful of words, they’ll decide whether or not to read a single word further. This makes a great title. To become a better writer, you may not actually need to change much about the majority of your content. Rather, you may simply need to improve your titles. This often means drawing up numerous potential titles, but not until after you’ve written the article. You don’t want to end up drafting a title, becoming attached, and then forcing your work to fit into the frame of that title, despite contradictory information. Your title is the first thing people see, but it should be the last thing you decide on. If you want to land more jobs – and more money – as a freelance writer, one of the best things you can do is choose a writing niche. The reason this is key is because when you have a niche, you bring something special to the table – a higher level of expertise and experience writing about a topic that makes your work more valuable to employers. 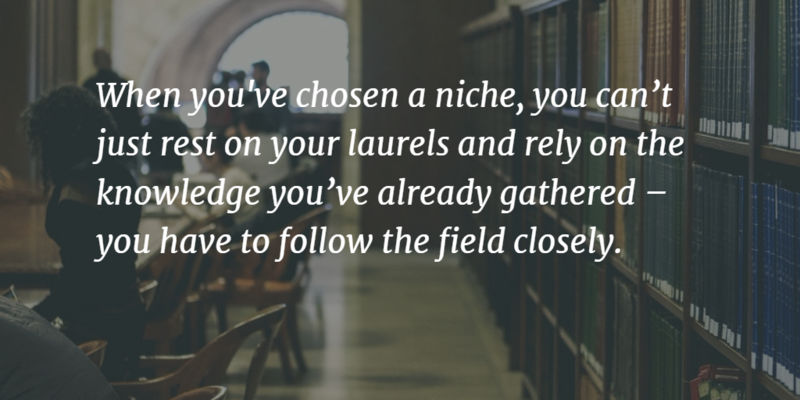 When you’ve chosen a niche, you can’t just rest on your laurels and rely on the knowledge you’ve already gathered – you have to follow the field closely. Sign up for newsletters, follow key blogs, and build connections with industry insiders. If you aren’t a leader in your field, you won’t get tapped for the most important jobs. One of the difficulties of being a freelance writer is that you’re often expected to participate in a business’s larger strategy without really being privy to what that is or how it works. That means that your writing not only needs to be smart and easy to read, but it also needs to follow current business trends, such as adhering to the newest SEO expectations for content or using a trendy format. In order to keep on top of general business trends, you can read marketing blogs, study websites from a variety of industries looking for similarities, or research technical expectations for SEO. For example, in the past, writers were often expected to churn out longer articles packed with keywords and links, but now many of the ranking systems – including Google’s RankBrain – prioritize concision in their rankings. While you’ll still want to meet whatever word count your editor gives you, practicing concision can give you a competitive edge if you start to see those numbers shrink. Sure, no one likes to be criticized, but when you’re a writer, it’s part of the process. 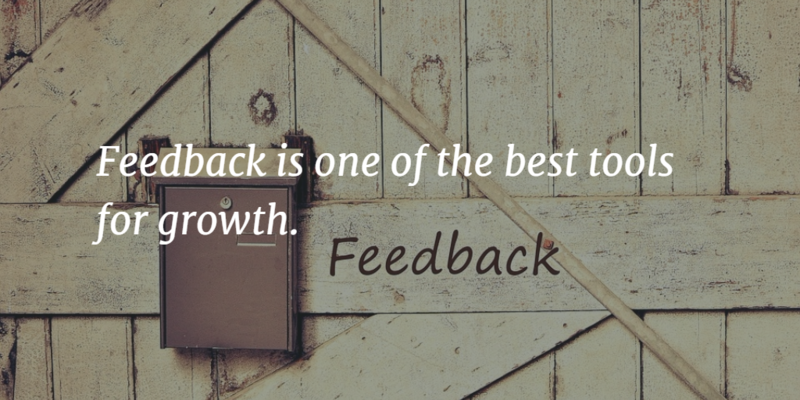 And what’s more, not only is feedback part of the process, it’s one of the best tools for growth. Listen to what editors and others say about your writing. While you don’t have to take every critique to heart, you do need to pay attention to the ones you hear over and over again. If you hear the same critique repeatedly, it means you have a writing problem, not just a problem with this particular piece, and this can help you identify your weak points. Then, you can make a concerted effort to choose stronger language, seek more examples of a phenomenon, or shorten your sentences – whatever it is you’re hearing. You can’t become a better writer overnight, but as something you undertake day by day and with each assignment, this is a goal that’s always in sight. And you don’t need to take all these steps at once. Set attainable goals, assess what step or steps can help you meet them, and then dive in. 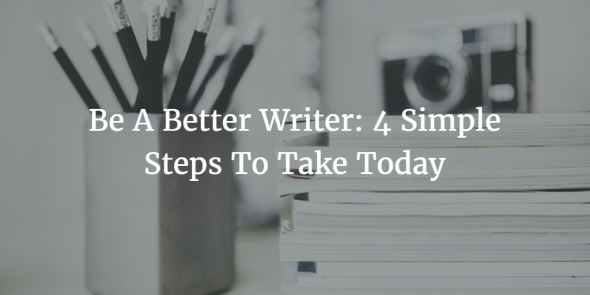 Becoming a better writer is a lifelong process, but as part of your career, you should be honing your skills in a concerted way each day you sit down at your desk.